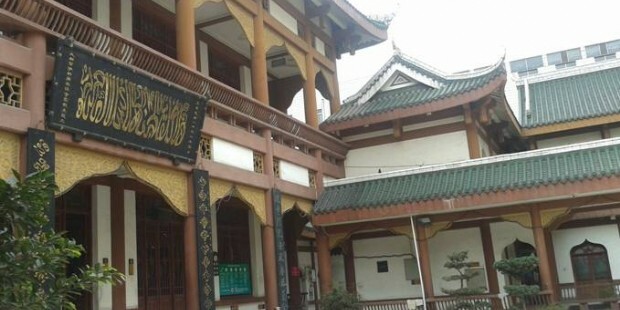 Huangcheng Mosque is the only opening religious site for Muslims in the center of Chengdu. 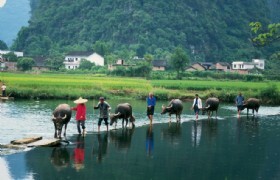 It is one of the most famous mosques in the southwest of China. It is called Huangcheng (palace wall) for short. It was named Huangcheng (meaning of a place near the palace in Chinese) because it was next to a palace relics in the local area. It was first built in 16th Century and rebuilt in 1858. However, it was seriously destroyed in the wars in 1917. 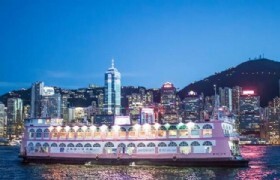 Then its size has been reduced from over 6,600 square meters to 5,000 square meters though it has been made efforts to reconstruct for several times. 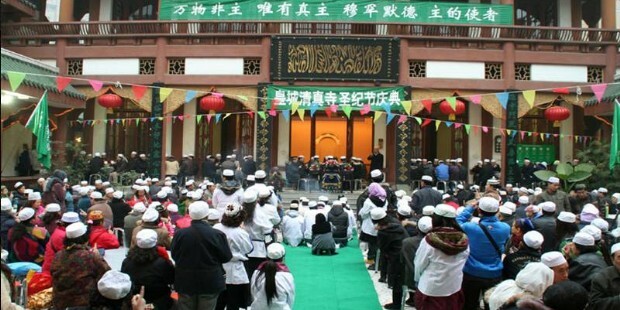 In spite of the shrinking size, it is still the largest mosque in Sichuan Province. 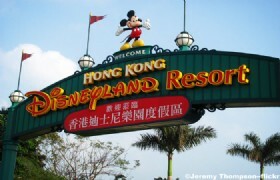 It was relocated there in November 1998. The present mosque combines the style of Arabian architecture with building style of Ming and Qing Dynasties. With a long history of more than 400 years, the rebuilt mosque consists of an entrance wall, two gates, an ambulatory, a bathroom, a sutra library and a grand worship hall, etc. 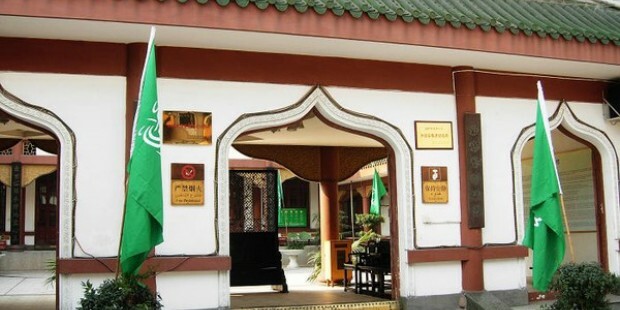 It is still the headquarters of the Islamic Association of Sichuan Province. 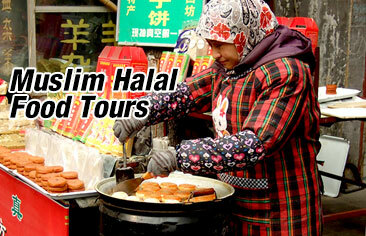 It is so closed to the Tianfu Square that the Muslims can go there to have some Muslims food after the prayer.